If you drive for work or employ people to drive as part of their jobs, it's important to keep safety in mind at all times. Whether it's for work or personal reason, driving can be dangerous, and according to the Occupational Safety & Health Administration (OSHA), the average work-related auto accident costs the employer $74,000. Auto accidents also drive up the cost of employee health insurance and worker's compensation. What's more, it's hard to ignore the huge emotional tax that accidents have on families and workplace teams. If you regularly drive for work, you're at increased risk of work-related auto accidents. Keep the following tips in mind to protect yourself, as well as others. Anytime you're behind the wheel, it's important to keep your attention focused on the road. If you're driving heavy equipment, this is even more important. A lapse in attention, whether to adjust the radio or eat a snack, can cause an accident and injure you and other people on the road. According to a study by the National Sleep Foundation, 60% of American drivers report that they've driven when they are drowsy, and 37% say they have actually fallen asleep while driving. Drowsy driving is a major hazard, especially for long-distance truckers, delivery people, and others who drive regularly for their work. If you're tired, pull over to take a nap. If you regularly experience this problem, consider speaking to your employer about taking a different shift. It's tempting to multi-task when you're behind the wheel, but cell phones can cause accidents. In fact, according to the CDC, cell phones are a factor in about 1,000 deaths and 24,000 injuries each year. Mobile phone usage while driving has been outlawed in many states, and a 2010 law says that commercial drivers can't text when they're behind the wheel. GPS devices allow the driver to keep his or her eyes on the road instead of a map. The GPS is programmed with the destination prior to the trip and gives the driver verbal directions on how to get where he wants to go. 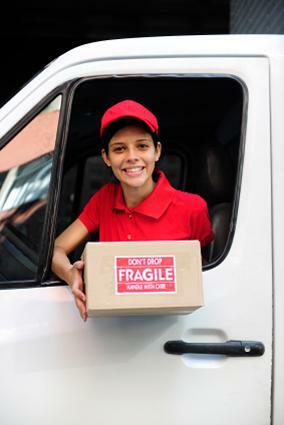 This can be especially helpful for delivery drivers who must make multiple stops. Impaired drivers are a huge road hazard. Learn how to identify a driver that may be under the influence of alcohol or simply drowsy. These drivers often weave and swerve, and they may change speeds frequently. If you see a driver acting this way, you should stay a safe distance away. If it's safe to do so, pull over and call the police from inside your car. You might not want to get involved, but alerting the police to a potentially impaired driver may just save a life. There are several strategies employers can use to reduce the number of work-related driving accidents. Keep the following tips in mind. Employers can reduce work-related auto accidents by educating their employees about driving safety. Consider hiring a driver educator to give your workers a refresher course. Employers should perform a monthly comprehensive workplace vehicle inspection on each company vehicle. This helps ensure the vehicle won't have any potentially dangerous malfunctions while it's on the road. Make sure that your workplace is adequately staffed. Overworked drivers are often unsafe drivers, and some workers may have trouble staying awake during late night shifts. Smart staffing helps you prevent accidents. Although no one wants to get in a car accident, you can help employees stay aware of automobile safety if you offer an incentive program. Give out a monthly gift card to the employee with the best driving record or least number of work-related accidents. In addition to offering an incentive, you should also consider a discipline system for drivers who have accidents. There should be a thorough report about all incidents, and drivers who are at fault should be disciplined. Driving safety is important for both employees and employers. Employees are at risk of injury and losing wages, and employers can lose thousands of dollars due to worker's compensation, vehicle repairs, property liability, and other costs. Staying safe on the road and at work is in everyone's best interest.